The Middle School Gathering is a highly interactive experience for youth in grades 6-8 and their adult leaders. Each year, the Middle School Gathering is held on the Saturday and Sunday immediately before Martin Lutheran King, Jr. Day. 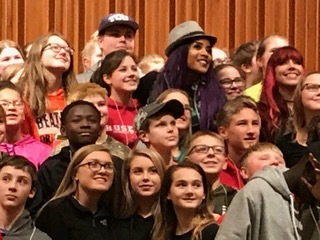 The ministry event lasts about 28 hours, but the memories last a lifetime. 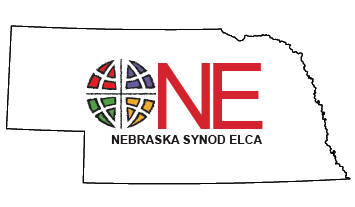 The 2019 Nebraska Synod Middle School Gathering was held at First Lutheran Church in Kearney. Participants worshiped, sang, serve, ate and had fun together as they explored the theme “Rooted” and Colossians 2:6-7. This year’s guest artists were musician AGAPE* and spoken word poet Joe Davis. Stay connected with the Middle School Gathering throughout the year on its Facebook page. Please save the date for the next Middle School Gathering. It will be held January 18-29, 2020 at a location to be determined. When more information is available, it will be posted here.